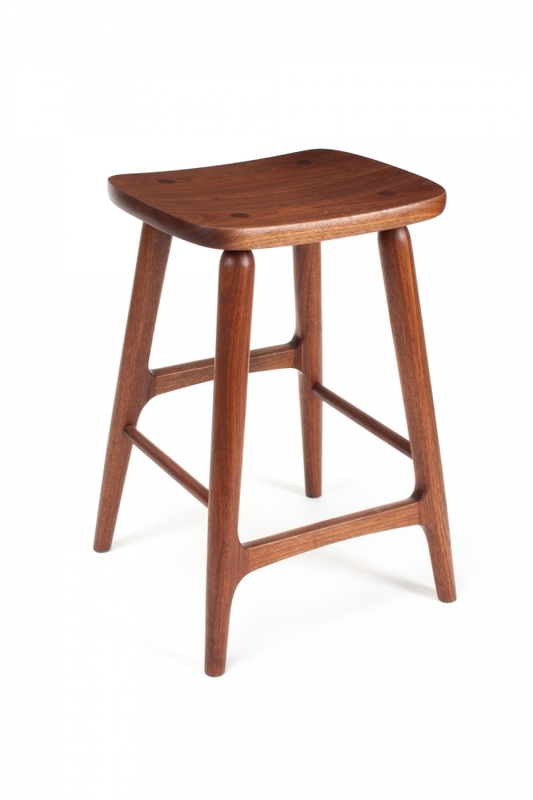 Our Berry Barstool has two seat widths. 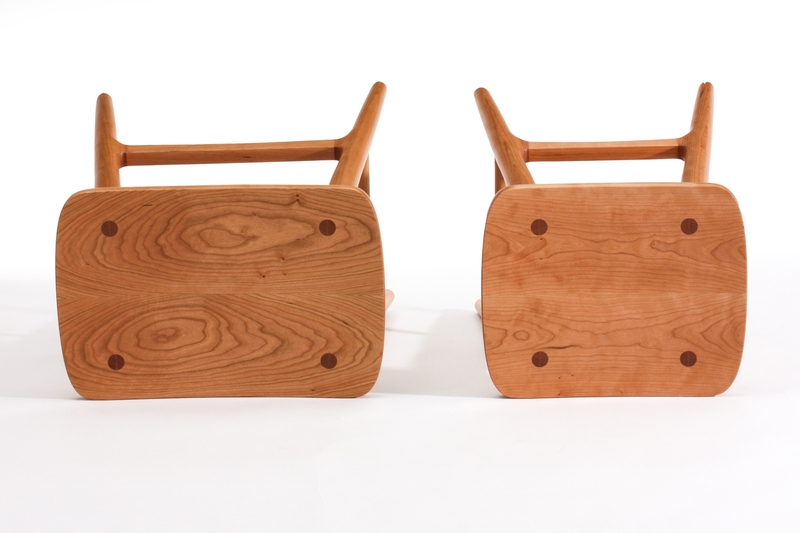 You can choose one and specify the wood and the height of the seat. 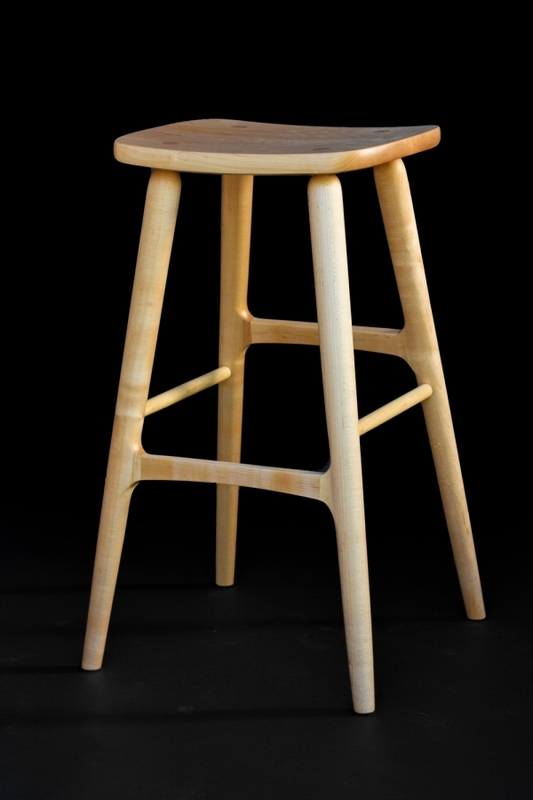 This barstool has two seat widths, 16-1/2 and 20". You can choose one and specify the height of the seat from 18-31". 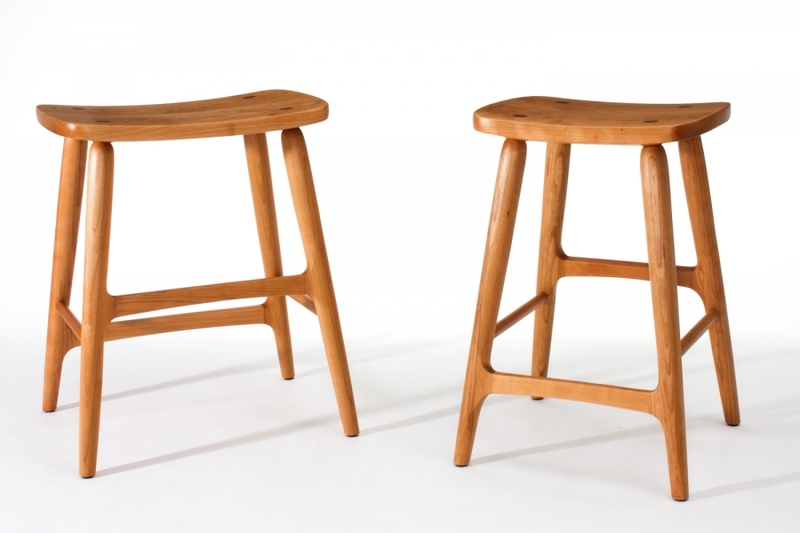 If you are considering the purchase of 3 or more of our barstools, we will send one to you at our expense. We'll have it picked up after a week or so. No charge to you. Details. You may choose 16-1/2" wide or 20" wide. 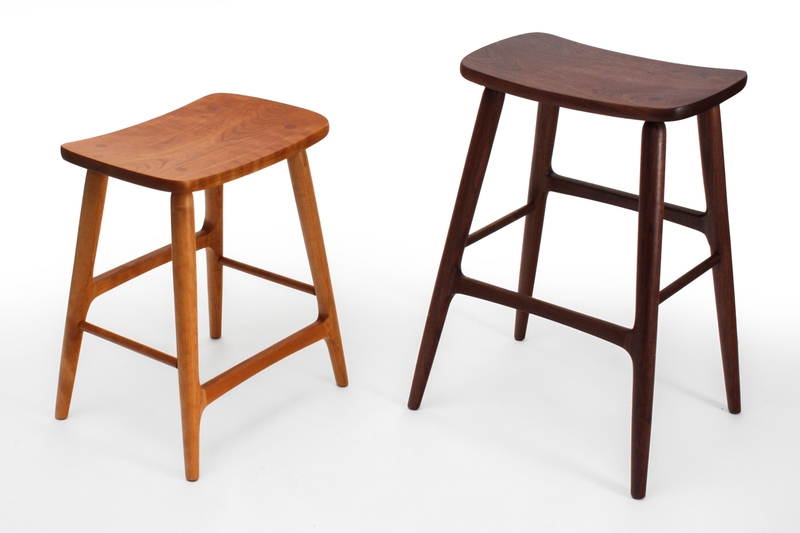 We recommend a seat height that is 12" below the top of the bar, counter, or table. Bar height is typically 42" high. For that, we build 30" high barstools. Counter height is typically 36" high. 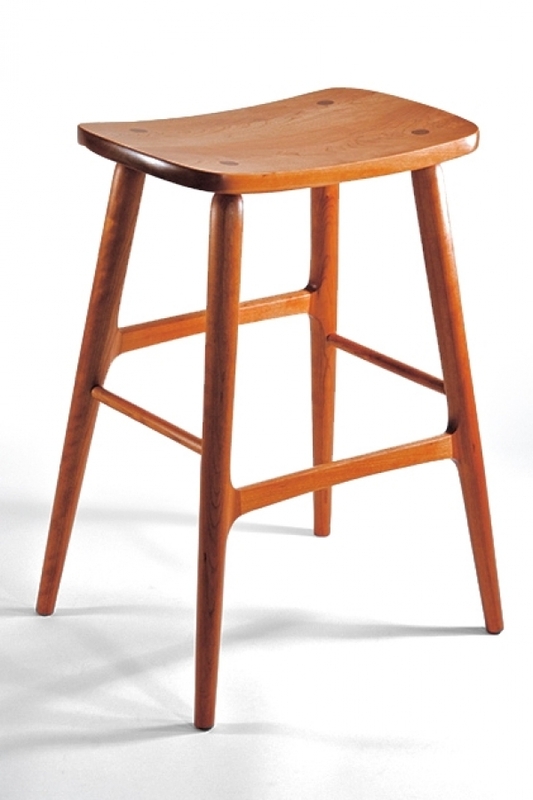 For which, we build 24" high barstools. Typical tables are 30" high. We build 18" stools for them. You may specify the height that works for you from 18-31". The footrests are mortised into the legs. 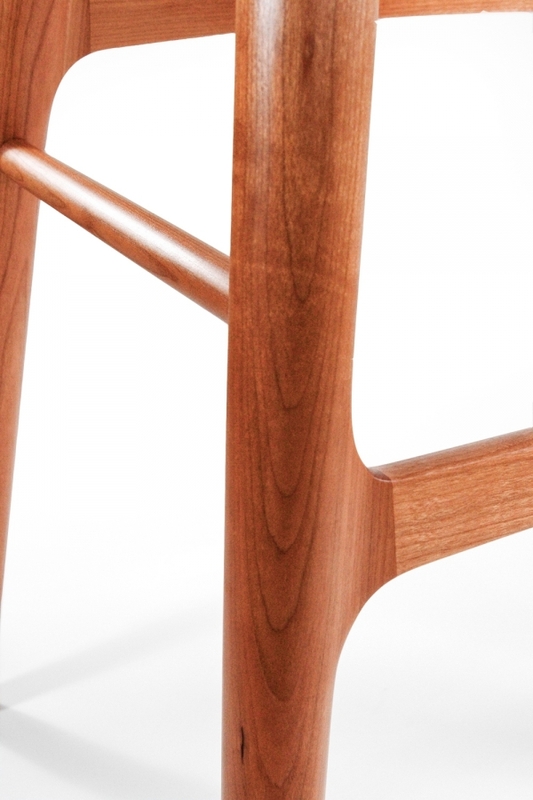 That intersection is sculpted so that the footrest grows out of the leg. We received the chair on Thursday. We love it — it exceeds our expectations. Thank you. 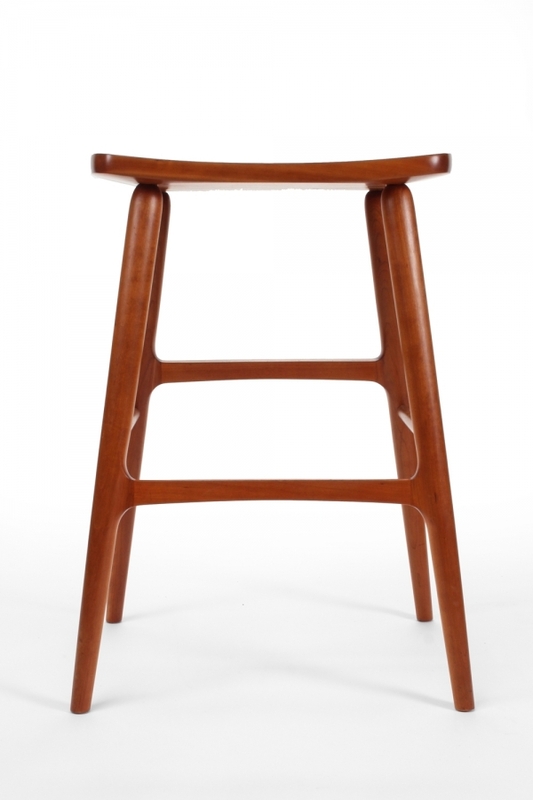 We love the chair — it's a marvel of art, engineering and comfort.